Huawei T1 7.0 Plus On Pre-Order At Lazada PH Tom For 6490 Pesos Only! 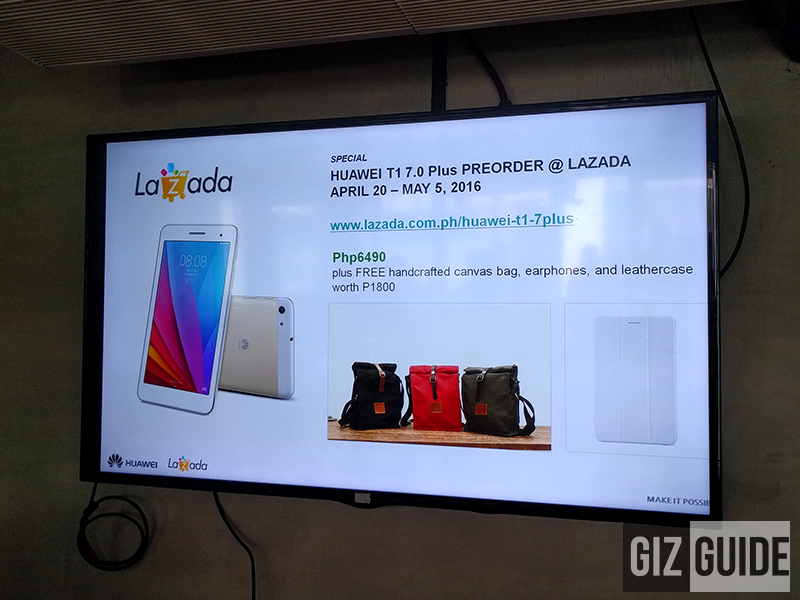 Home / huawei / mobile / news / Huawei T1 7.0 Plus On Pre-Order At Lazada PH Tom For 6490 Pesos Only! 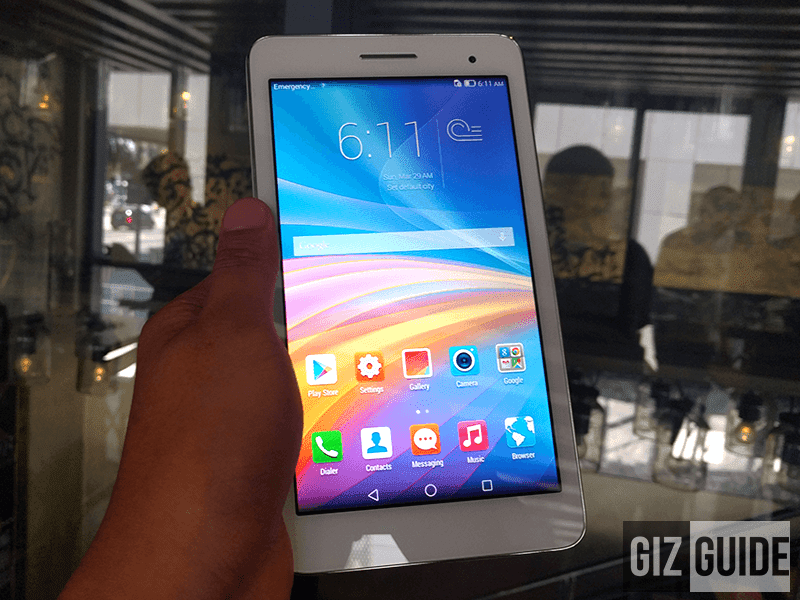 Earlier Huawei Philippines just launched their latest value packed device specifically designed for those who wanted a good multimedia tablet on the go. Dubbed as the Huawei T1 7.0 Plus, it boast several upgrades over the ageing T1 to make it a better device overall. Going to what this tablet can offer, it boast a stylish and good to hold aircraft quality aluminum unibody with good slimness at 8.5 mm only and a clear looking 7 inch WSVGA screen with a resolution of 1024 x 600 pixels. Under the hood, it utilizes SC7731 quad core chip by Spreadtrum paired with Mali 400 GPU. What's special here is it has 2 GB of RAM which is pretty rare for a tablet of this price as usually they only have 1 GB only. The Huawei T1 7.0 also has 16 GB of expandable ROM up to 64 GB and HUGE 4,100 mAh of battery capacity that also supports reverse charging via way of USB OTG. This tablet also has a 5 MP rear camera, 2 MP selfie camera and phone functionality where-in you can use it for SMS and calls. 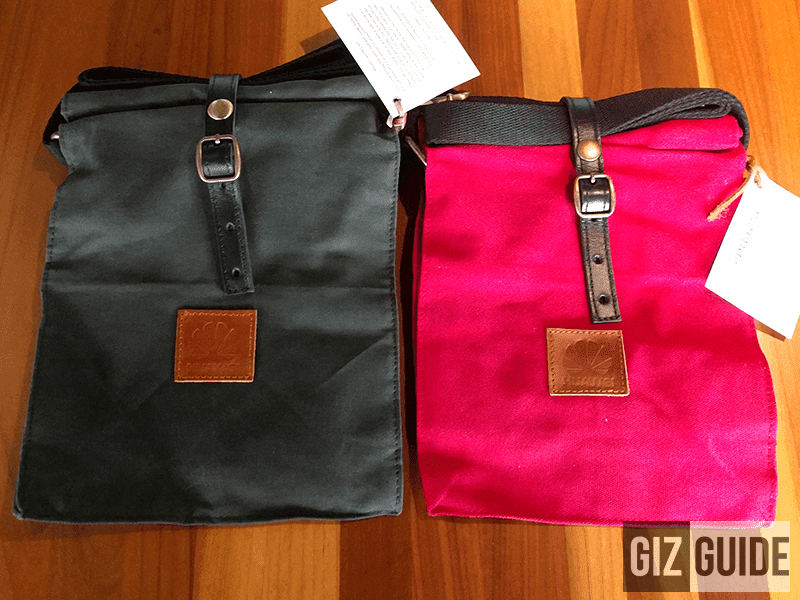 Lastly, if you pre-order at Lazada Philippines this April 20 - May 5, 2016, you'll be able to avail a FREE Gouche Bag (1.8K Pesos), leather flip cover case (500 Pesos) and earphones (900 Pesos). All of that for 6,490 Pesos only.